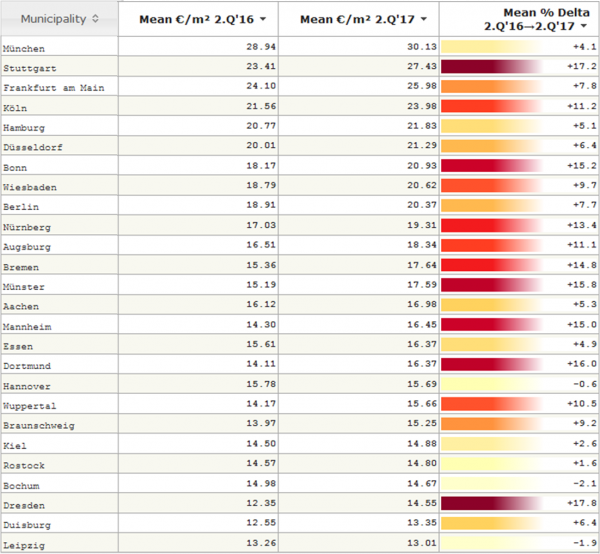 Since our latest rent overview in February 2017, Munich has exceeded the 30 Euro per m² threshold and Stuttgart has pushed Frankfurt from the second to the third place – with a rent of 27.43 € per m². 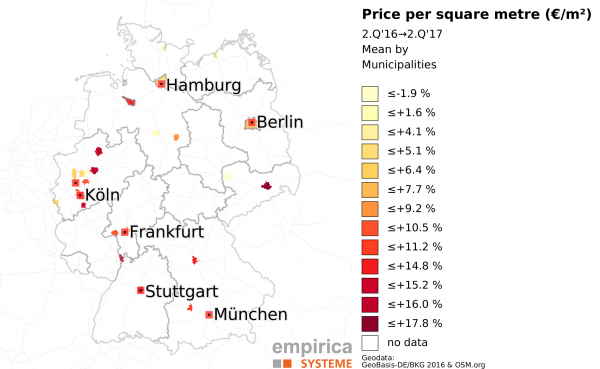 Compared to the second quarter 2016, Stuttgart is also the A-City with the highest rent increase. Since then, only Dresden has seen a (relatively) higher increase. The analysed advertisements are furnished, for temporary use and the rates include ancillary costs. The total rent in the German A-Cities varies from 1167€ per month in Munich, 992€ in Frankfurt, 968€ in Stuttgart, 902€ in Cologne, 883€ in Dusseldorf, to 820€ in Berlin and 794€ in Hamburg. The increasing flexibility of the labour market, as well as the internationalization of education and universities, improve the attractiveness of micro living and student housing as an asset class in Germany.